Is It Better To Use A Debt Consolidation Company Rather Than File For Bankruptcy? That depends on your specific circumstances. It is possible that, because of your particular situation, hiring a debt consolidation company makes more sense than filing for bankruptcy. However, there are several precautions that you should be made aware of before going that route. To begin with, it is understandable why people would want to look into a debt consolidation company first before anything else. The way in which such services are advertised makes it sound as if it is a simple process in which the company handles all your debt, and gets you into one simple monthly payment (while even getting rid of some of the debt). And because there is a natural aversion to filing for bankruptcy, taking this angle may seem like the more sensible thing to do. But you should be aware that since the start of our nation’s economic trouble (starting in about 2008), debt consolidation companies have sprung up like mushrooms on the forest floor. It has become a veritable cottage industry overnight, as each such company tries to outdo the other in terms of how much it can do for you (sometimes sounding as if they can perform magic). But as with all things, if it sounds too good to be true, then it probably isn’t. The main scam that has been uncovered works this way: The debt consolidation company tells you what the monthly payment is. You start making the payments, on time, each month. After several months of payments, the credit card companies start calling you and telling you that you are several months behind. Exasperated, you call the debt consolidation company to see what’s what. The debt consolidation company tells you that the monthly payments that you been making recently have all gone towards the company’s fees. So now you are in a worse position than before, and the creditors are starting to sue you and/or harass you with threatening calls. Nearly every state Attorney General has since filed suit against these operations for consumer fraud. A lot of these cases are still pending. But the companies are very much still pulling their scheme. So if you take the initial route of a debt consolidation program, please be cautious in your approach. Ask lots of questions, and make sure you read the fine print. And you should be especially aware of how the company takes its fees. On the other hand, a discharge of your debts is available by way of a Missouri bankruptcy filing. Whether it is a St. Louis Chapter 7 bankruptcy or a St. Louis Chapter 13 bankruptcy, your unsecured debts (credit cards, medical bills, payday loans, etc.) will be taken care of for sure, and without delay. 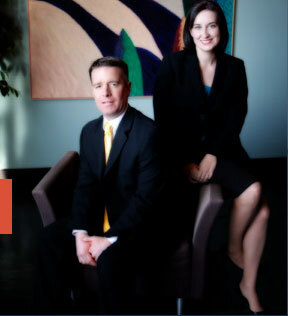 The St. Louis bankruptcy attorneys at Brinkman & Alter, LLC have been making sure that our clients receive the fresh start / clean slate they deserve for years. Our goal is to put you on the road towards financial freedom, and help guide you through the process as smoothly as possible.